Little App – Buy Pizzahut Gift Card worth Rs 300 @ Rs 135 only! Little app / “Little Deals” is a new app recently launched – Finds helpful in searching for local deals across India just like – Trideals / mydala. This Holi Season, the season of love is enhanced with the best & supersized deals posted by us. Now Grab Pizzahut Discount Voucher worth Rs 300 & Rs 500 @ Flat 50% off, grab this deal at lowest price ever. 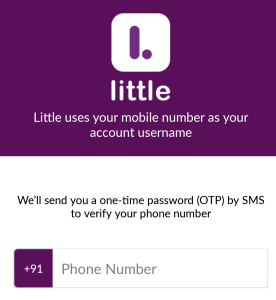 Little App is now offering flat 50% off on first deal purchase or when you refer your friends to little app. Coupon Code needs to be redeemed before placing the order. Price are inclusive of all Taxes and Service Charges. Do share this post and let your friends too know about this offer.